Welcome to another meetup organizer newsletter full of news, information, and inspiration for your local meetup. WordPress 4.9.8 was shipped out as a maintenance release. This release had a fix for 46 bugs, some enhancements and tasks. The Twenty Seventeen theme, which is bundled, also received an update. You can read more at the announcement post. Another update with the WordPress 4.9.8 Maintenance Release is the “Try Gutenberg Callout”. Most users will now be presented with a notice in their WordPress dashboard. 1. If Gutenberg is not installed or activated, the callout will be shown to Admin users on single sites, and Super Admin users on multisites. 2. If Gutenberg is installed and activated, the callout will be shown to Contributor users and above. 3. If the Classic Editor plugin is installed and activated, the callout will be hidden for all users. This is a great time to talk to your meetup group about Gutenberg as many of your members will have started using it for the first time. You can learn more by reading “Try Gutenberg” Callout in WordPress 4.9.8. From time to time we like to share some tips or some new things meetup groups are doing that is interesting. Some community organizers are experimenting with creating a system for local communities to propose topics and vote on them. This is a popular trend among some Spanish Meetup groups. Covering topics that your meetup group are directly interested in hearing about is a great way to attract and retain members! Here are some of examples from Madrid, Irun, Barcelona and Tarragona. Last year the WordPress Foundation funded two introduction to open-source workshops in Kanpur and Mombasa. This year the foundation will be funding four such workshops. Event should be free of cost, open to anyone, and held in 2018. 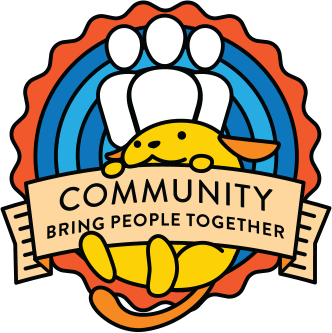 Strong preference will be given to organizers who are already members of a community group that is part of the WordPress open source project’s meetup chapter program, but have not yet organized a WordCamp. Read more about it here and do apply quickly, as applications close on 23rd August 2018. If you’re interested in helping the WordPress global community team with diversity initiatives like this, and others, check out this call for volunteers for a diversity working group!